RSEB is nothing but Rajasthan State Electricity Board which is a electricity company of the Government of Rajasthan which is responsible for generates, transmits and distribution of power in all districts. Entire RSEB was transferred to five different companies i.e. 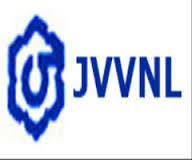 Rajasthan Rajya Vidyut Utpadan Nigam Limited (RVUN),Rajasthan Rajya Vidyut Prasaran Nigam Limited (RVPN), Jaipur Vidyut Vitran Nigam Limited (JVVNL), Ajmer Vidyut Vitran Nigam Limited (AVVNL), Jodhpur Vidyut Vitran Nigam Limited (JDVVNL) on 19th July 2000. Government of Rajasthan started accepting the online payments of electricity bills from all districts. Consumers can use these online portal to pay current bill dues. To accept online bill payments consumers need to register their personal details like consumer name, consumer number and other details in Jaipur DISCOM or JVVNL Online Bill Payment web portals.